By buying this product you can collect up to 169 loyalty points. Your cart will total 169 loyalty points that can be converted into a voucher of ₹ 42.25. Wooden candy jars/ gift boxes - Set of three- with housing. Further prettified with 3d flower motif. Finished with decent semi glossy varnish. 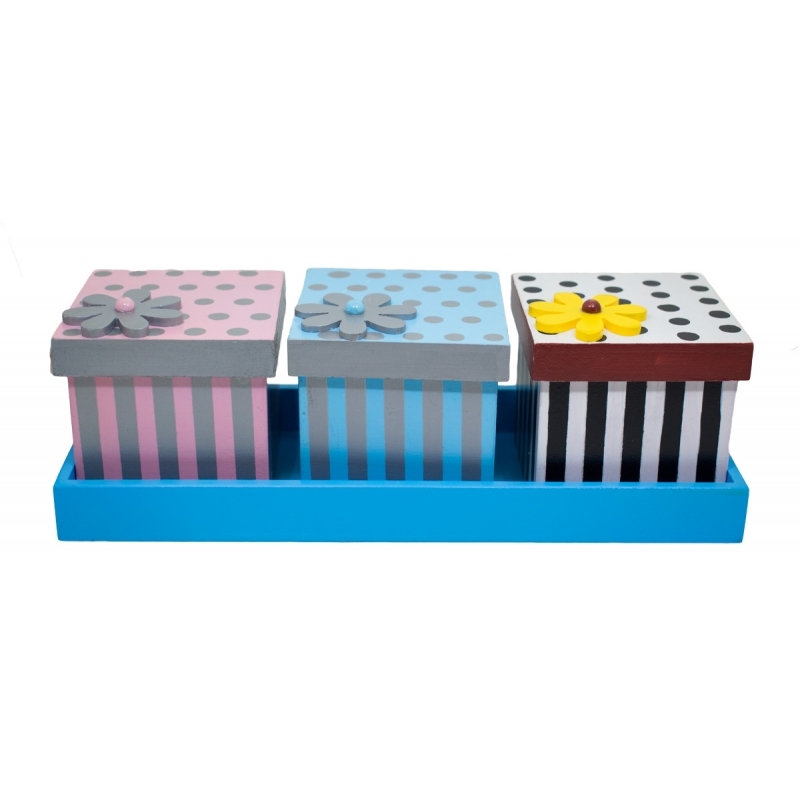 Ideal for storing the candies/ desktop accessories. 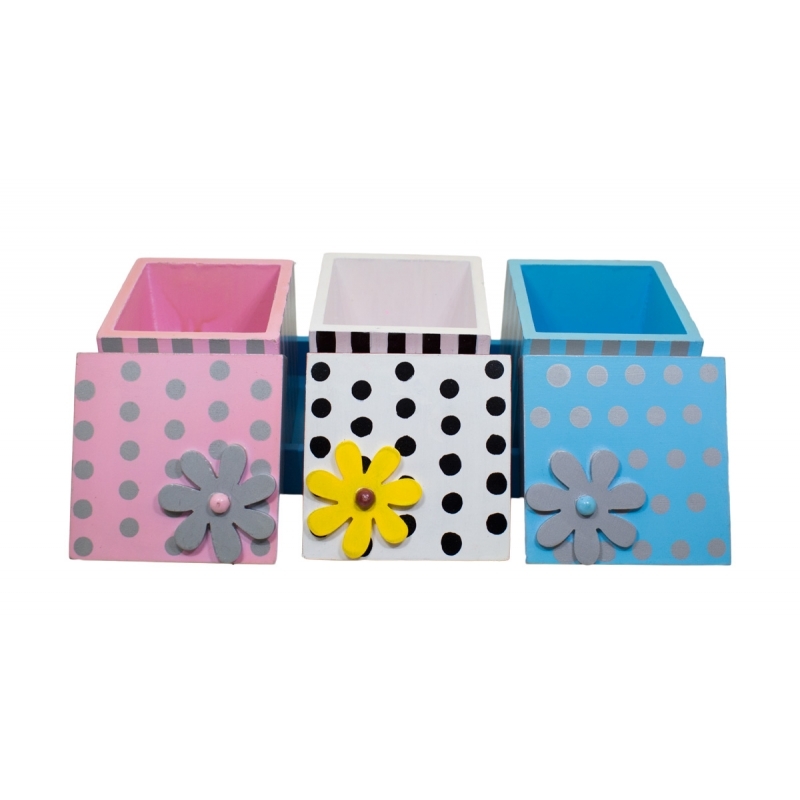 The wooden Candy jar set is made of Nu wood with attractive dots and stripes painting and 3d flower motif, that you will fall in love with. 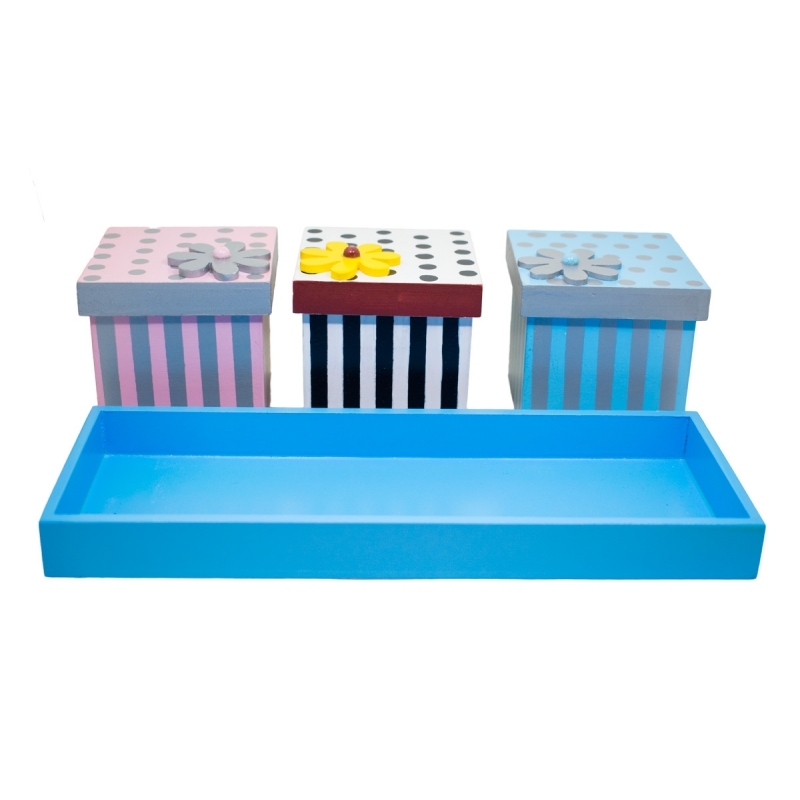 The product is ideal for jewellery, candies, utility and gifting.